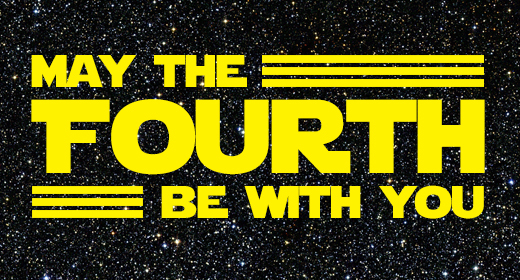 Happy Star Wars Day! May the Force be with you as you revel in your love for all things Star Wars. Are you excited about the casting news for Episode 7? Let us know! Check out this week’s podcast where you’ll hear all of our answers, and yours, about Episode 7 during Episode 110’s #TweetTheGeeks question! Also, check out our new friends I Heard That Was Good, where Josh talks about Star Wars with Tim and Carson. Susannah Torres liked this on Facebook.